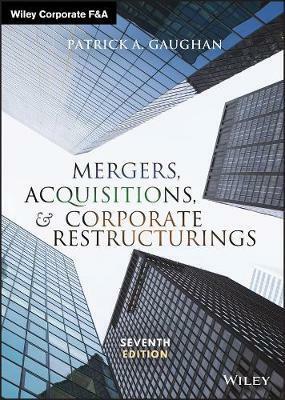 Mergers, Acquisitions, and Corporate Restructurings provides a comprehensive look at the field’s growth and development, and places M&As in realistic context amidst changing trends, legislation, and global perspectives. All-inclusive coverage merges expert discussion with extensive graphs, research, and case studies to show how M&As can be used successfully, how each form works, and how they are governed by the laws of major countries. Strategies and motives are carefully analyzed alongside legalities each step of the way, and specific techniques are dissected to provide deep insight into real-world operations. This new seventh edition has been revised to improve clarity and approachability, and features the latest research and data to provide the most accurate assessment of the current M&A landscape. Ancillary materials include PowerPoint slides, a sample syllabus, and a test bank to facilitate training and streamline comprehension. As the global economy slows, merger and acquisition activity is expected to increase. This book provides an M&A primer for business executives and financial managers seeking a deeper understanding of how corporate restructuring can work for their companies. From large megadeals to various forms of downsizing, a full range of restructuring practices are currently being used to revitalize and supercharge companies around the world. Mergers, Acquisitions, and Corporate Restructurings is an essential resource for executives needing to quickly get up to date to plan their own company’s next moves.